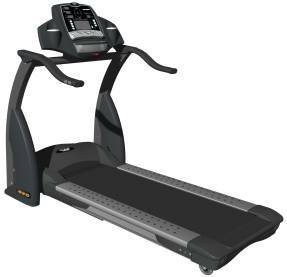 The EVO 3i is a heavy duty treadmill built for light institutional (non health club), as well as home use. It includes the Swing Arm™ shock absorption cushioning system designed to reduce impact and stress to your joints and lower back. The extra long 20" x 62" belt/deck can accommodate the tallest individual.The 4-ply belt is designed for long term endurance and noise reduction. The large non-slip 2.5" crowned rollers with double ball bearings guarantees a longer life for items like bearings and belt. This machine is built solidly to handle 4-6 hours of daily usage. New extra large 3″ LED console display speed, time, distance, pace, calories burned, heart rate, 1/4-mile running track. ToughTrain 3.5 out of 5 It has many useful and attractive features but still you can look for some other brands within the same range having better features. TreadmillDoctor.com 6.8 out of 10 In this price range, Landice, and Precor, are the safe options. With the bloodbath in the retail world, this one is a much safer choice than it has been in the past. *Note: Most of the sites, stores or shopping portals listed above sell EVO 3i Treadmill with discounts and other exciting offers. There is a possibility that the some of above websites are not selling EVO 3i Treadmill now. Toughtrain.com is not liable for such cases or instances. Also we do not recommend any seller for EVO 3i Treadmill and a buyer should buy from where he/she gets best deal with quality of products, service and on time delivery (shipment).